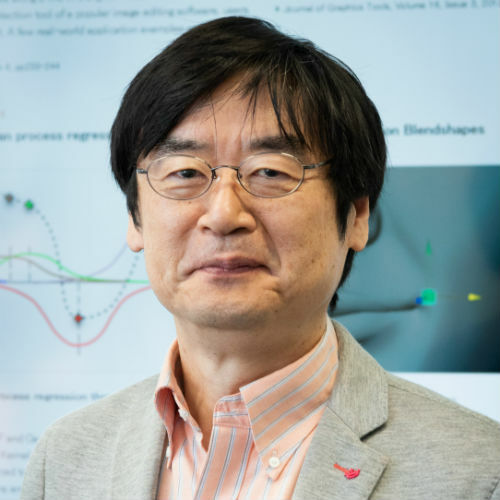 Professor Ken Anjyo set up and headed the research and development (R&D) division of OLM Digital, the Tokyo production company famous for the Pokémon movies, as well as for 3D animated feature films. Professor Anjyo later became the company’s Chief Technology Officer and is now its executive Research and Development adviser. He has contributed to Japan’s digital media industry for many years, including between 2009 and 2014 as a technical committee member of the Computer Entertainment Supplier’s Association, the largest association of Japanese game companies. He is a board member of VFX-JAPAN, the Japanese association of domestic digital production companies, and a member of the Visual Effects Society in the United States.